The Friends have pledged £1,000 as match funding for a new Sensory Room / Chill-out space for students who would particularly benefit from such an environment. The school is now seeking external funding to raise the balance needed (a further £1,000). With support from funds raised by parents, the Friends will be buying complete sets of historical novels to support individual learning. Funds raised and donated to the Friends of Priory have enabled the school to purchase a new laser scanner which will mean children can scan 3D models and print them in 3D - it is wonderful to be able to provide such advanced equipment! Over the summer in 2018 the two old and delapidated Food and Nutrition Rooms were fully refurbished with brand new work stations, new cookers and equipment. With the help from all those who support Friends of Priory, every pupil now benefits from the much improved facilities. The school were successful with an application for funding towards brand new green gym equipment and with matched funds from Friends of Priory the school was able to buy double the equipment! Thanks to your help it's in use every day and hugely appreciated. Here's to some superfit kids! Recent years have seen many improvements to the outdoor facilities and equipment. 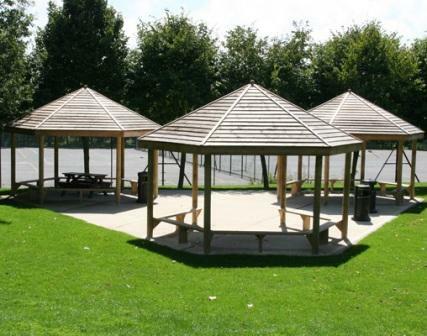 One of the earliest projects included an allocation of a whopping £12,000 towards the building of the new outdoor shelters - a very welcome addition to the life of the school.